Vinidex, an Aliaxis company, is Australia’s foremost environmentally conscious manufacturer and supplier of quality PVC pipe, PE pipe and PP pipe systems and solutions for the transportation of fluid, data and energy. Established in 1960, Vinidex offers unrivaled industry knowledge and experience to a broad range of applications including plumbing, water supply, waste management, stormwater and drainage, mining, industrial, rural, irrigation, electrical, telecommunications and gas. 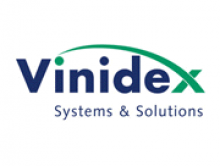 Vinidex has the pipe systems and solutions for your applications.